(Updated 7:29 p.m.) People who suffered human rights abuses during the Marcos dictatorship starting from the imposition of Martial Law onwards may begin filing their compensation claims at the Human Rights Victims’ Claims Board next week. 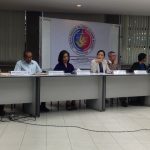 “The Human Rights Victims’ Claims Board is prepared and ready to accept claims for reparations and recognition from victims of human rights abuses during Martial Law starting May 12, 2014,” HRVCB chairperson Lina Sarmiento told reporters in a press conference on Thursday. “All victims of Martial Law must personally file their claim with the HRVCB. For those who were killed, died or incapacitated, their legal heir or authorized representative may file it for them,” she noted. The six-month claims application period ends on November 10, 2014. No fee will be required to file the claim, but applying in person is mandatory. The nine-member board expects to receive at least 20,000 claims for a portion of the P10-billion reparation fund indicated under Republic Act 10368, or the Human Rights Victims Reparation and Recognition Act of 2013. President Benigno S.C. Aquino signed the law last year during the anniversary of the EDSA Revolution. Under the law, the Claims Board has two years, or until May 12, 2016, to disburse the payouts. In determining the amount of compensation to be given to each claim, the board will follow a points system specified under the law. 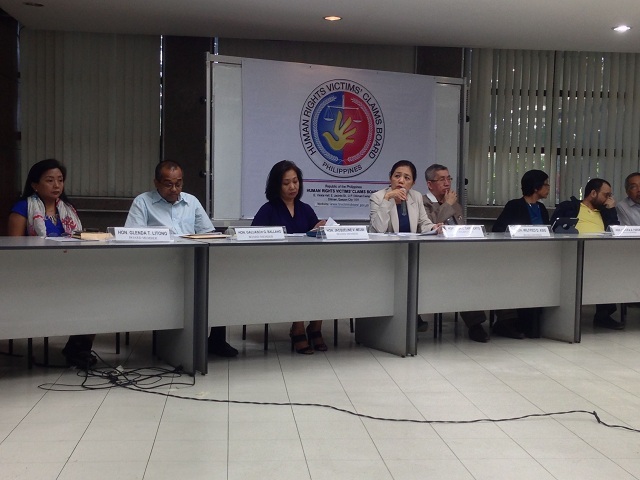 After evaluating all the applications, the board will release a preliminary list of beneficiaries. Those beneficiaries whose claims were opposed will be subjected to another evaluation. Finally, the board will come up with the final list of beneficiaries. In a separate interview, lawyer and HRVCB member Chito Gascon disclosed that the agency’s target to begin the monetary payout will be on December 10, 2015, or International Human Rights Day. Sarmiento also said that the documents to be submitted by the claimants will be endorsed to the Memorial Commission, which is tasked to establish a memorial museum and library on human rights abuses and victims under the Marcos dictatorship. Next week, the Claims Board will release the schedule and the list of towns where its mobile offices will be located. Currently, application forms are available for free at the Institute of Small Scale Industries at the University of the Philippines-Diliman, Quezon City. Applicants may contact the Claims Board at 0999-5059737 or hrvictimsclaimsboard@gmail.com. Board member Jacqueline Mejia warned the public of scammers who might provide claimants with fake application forms or try to take their money. “Tulungan niyo po kaming ipalaganap sa claimants na huwag basta papayag na mapagsamantalahan,” she said at the same press conference. The board also warned that under the law, false claimants may face penalties such as eight to 10 years’ jail time, disqualification from public office and employment, and deprivation of the right to vote.